As booksellers, the daily mail delivery brings all kinds of good surprises. 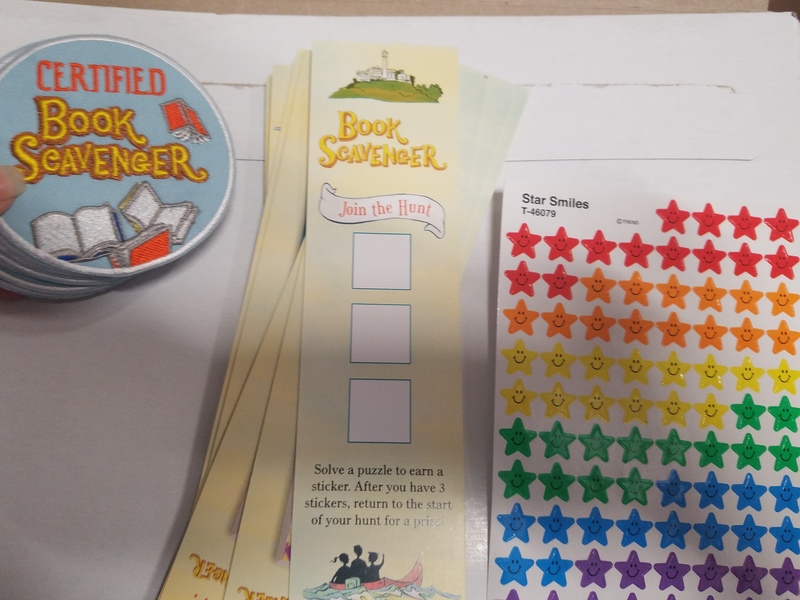 A lot of those surprises are from publishers sending us different kinds of materials to make our jobs easier—from advance copies of books to collateral to storytime kits to whimsical tie-in promo items. These mailings are invaluable, so I am definitely not complaining. That being said, managing the mail can be a surprisingly challenging task. When a busy week rears its head (say, during the final throes of planning an upcoming festival), it feels like I can blink and the walls around my desk are suddenly closing in. 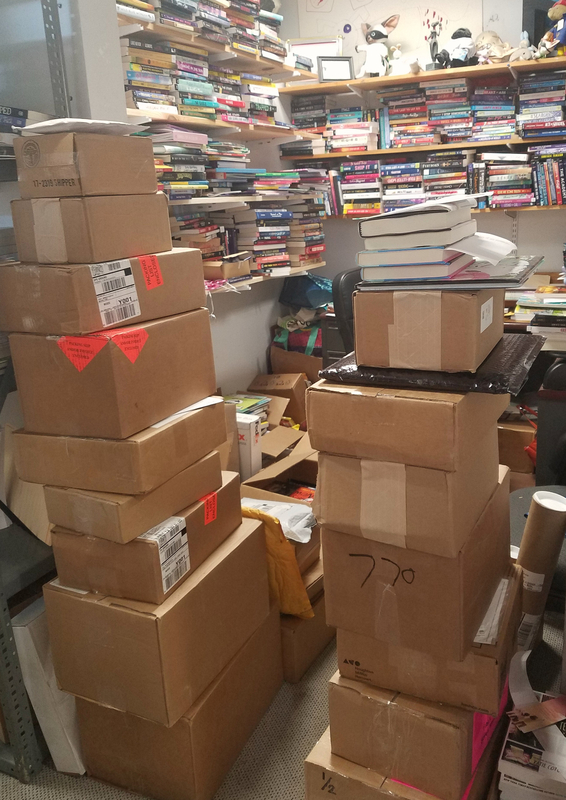 I always get asked about what mailings are useful to our store, so I thought I’d take a little tour through the boxes after a small build-up. 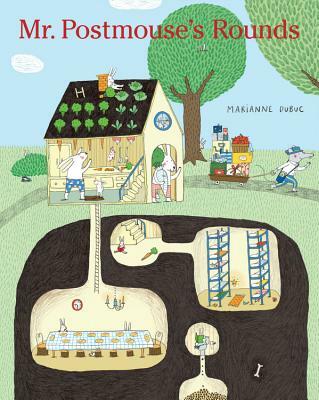 What’s inside, you ask? Well, let’s see! Our mailman might not be this cute, but he’s certainly as busy! Obviously we get a lot of ARCs. For efficiency’s sake, aggregated mailings are great, but when ARCs are available off schedule, or a book is so high-profile or highly anticipated that we have multiple readers clamoring for a copy, extra individual mailings can make sense. 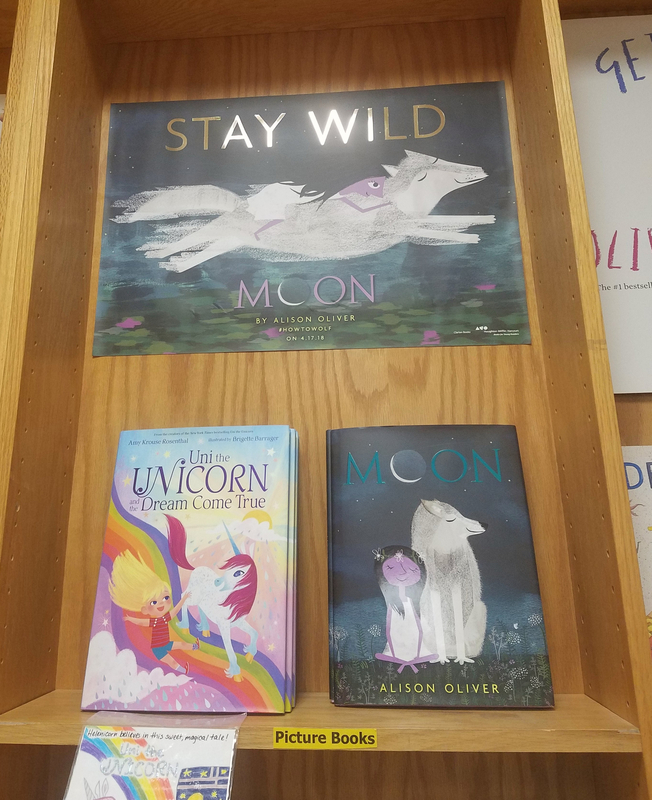 I usually put those extras directly on the shelves designated for either the next kids’ bookseller meeting or the Teen Press Corps, so those go right into distribution. An order for the store addressed to me instead of the receiving department and stashed under the rest of my pending boxes is less exciting to find—although I can’t really blame anyone but myself for that one. 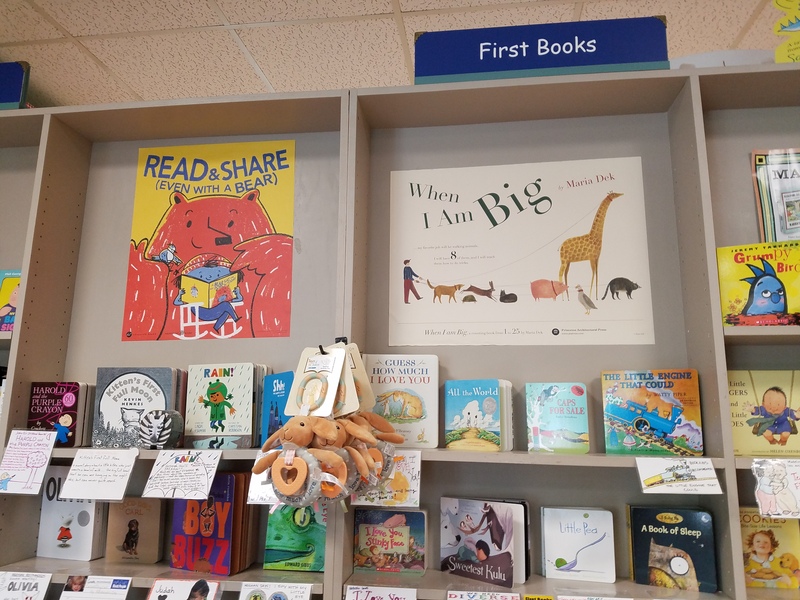 Storytime kits are fun and go straight to our kids’ events coordinator to be slated in as desired. 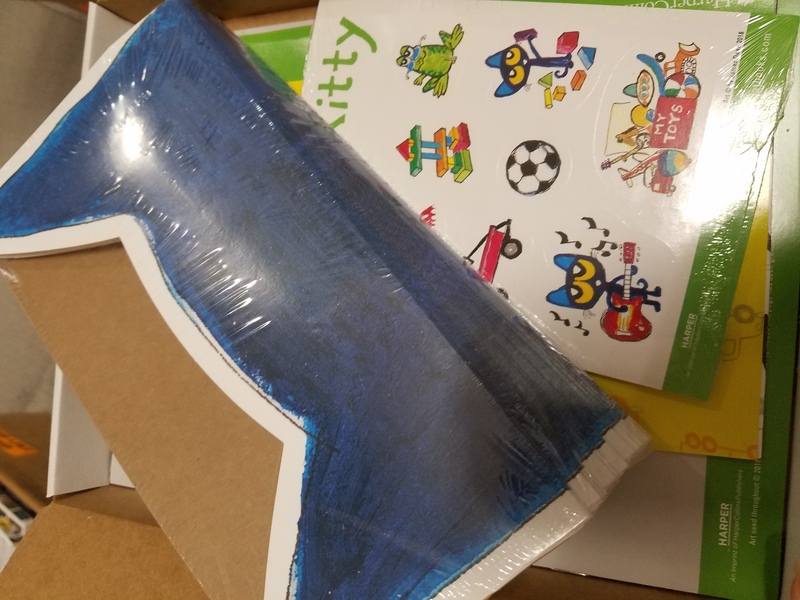 The Pete the Cat box below is a particularly easy-to-use kit, with cat ears and stickers that can go straight from box to kid hands. A signed print, when we can get one, is obviously always a thrill. 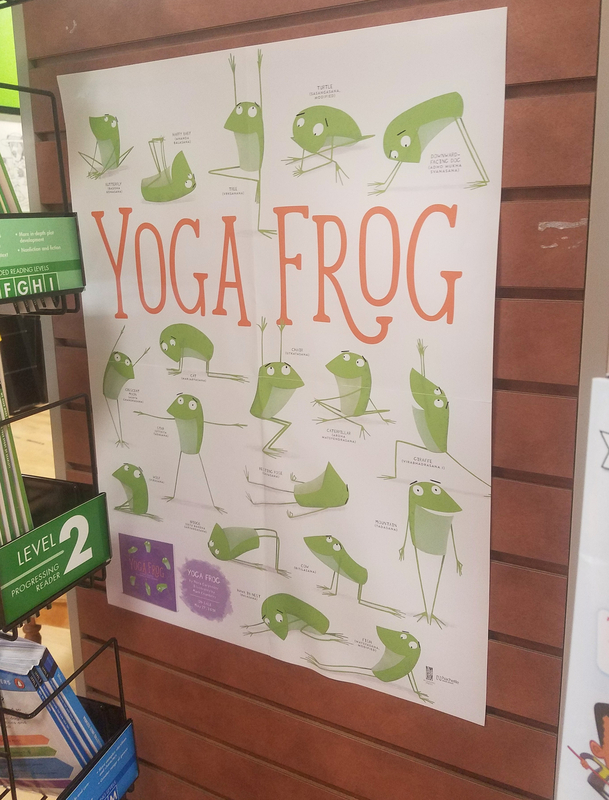 We typically use these for special storytime giveaways, because it’s such a treat for kids to be able to take them home to hang on their own walls. It’s always helpful to get cool stuff to give away to audiences at events, although they aren’t always as nice as these high-quality patches that came for school events with Jennifer Chambliss Bertman. 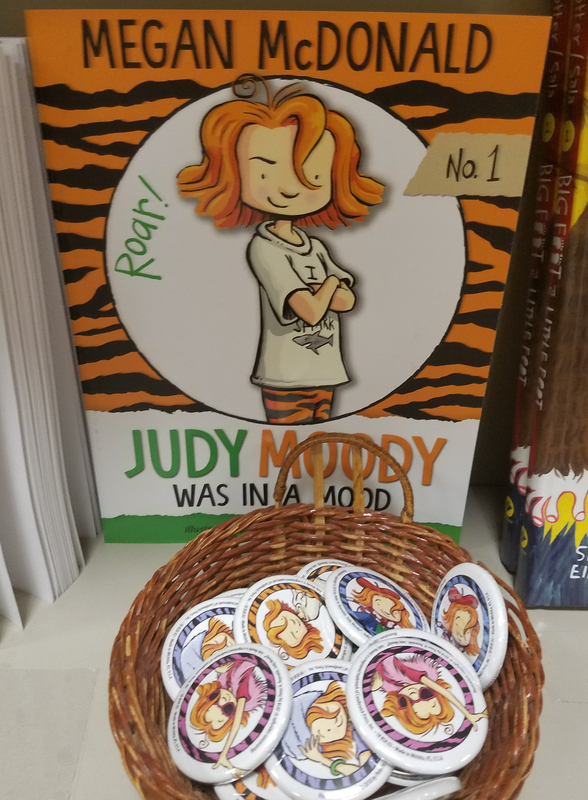 Kid-friendly giveaways liven up the shelves, as long as they are manageably sized like these Judy Moody book buttons and Squirrel Girl headbands—modeled below by our Kids Events Coordinator, Eugenia Vela. 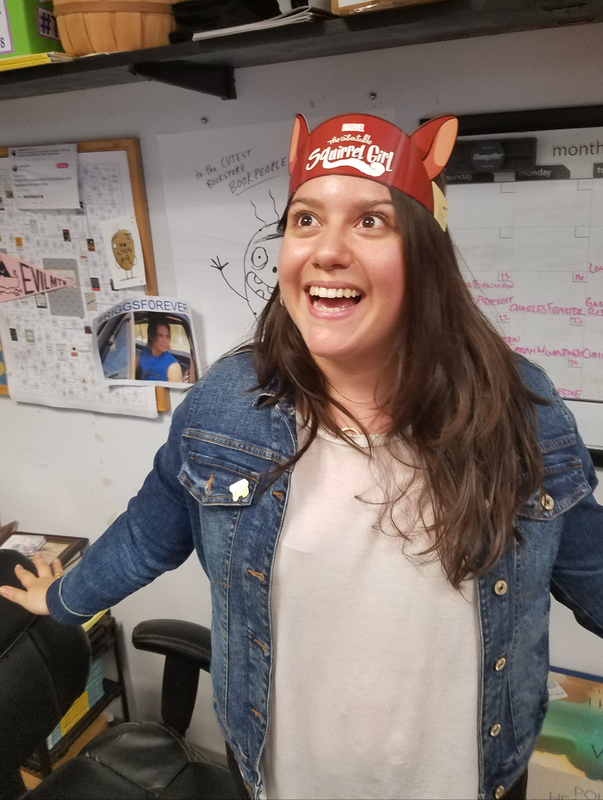 You actually may not know that headbands and head decorations of all kinds are surprisingly irresistible to booksellers in the wild, but it’s true. These have been in pretty heavy rotation around here. 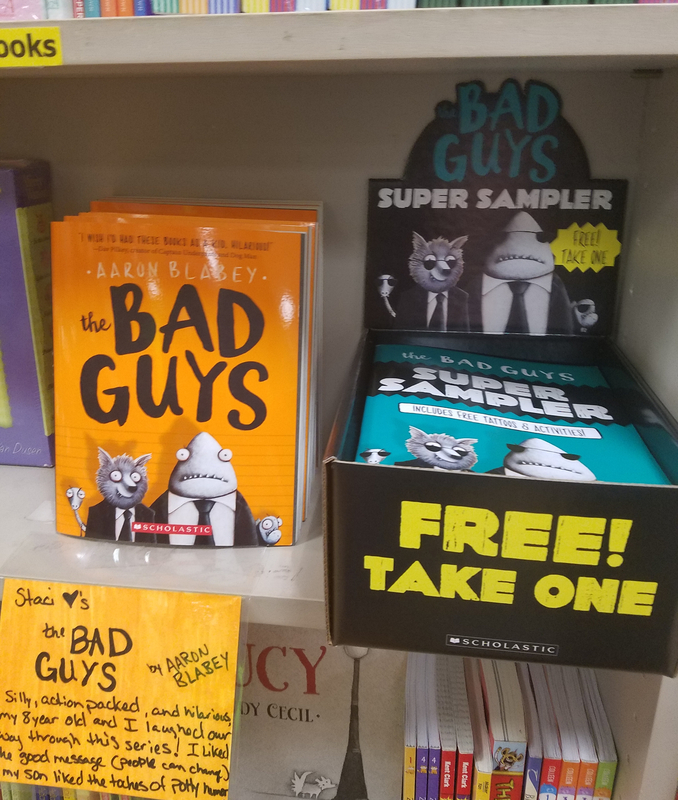 Samplers aren’t something we typically see huge interest in among customers (and take up valuable display space), but these fun Bad Guys booklets offering tattoos and activities are definitely exceptions to the rule and have already been attracting eager eyes. 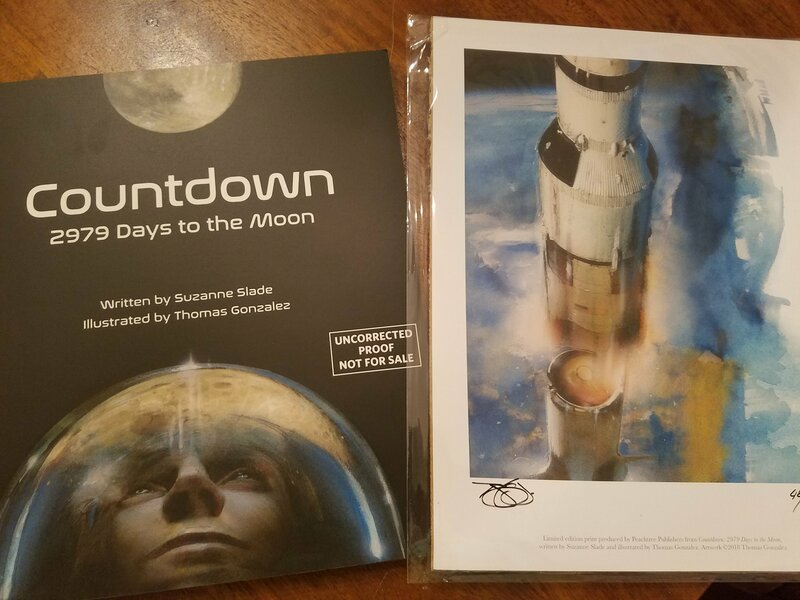 I also love getting posters. We don’t have room for every single striking poster we receive, but we do spread them around and switch them out periodically to keep things fresh. The new batch that has come through in the last week or two gave me a perfect excuse to take a turn through the section and brighten things up. 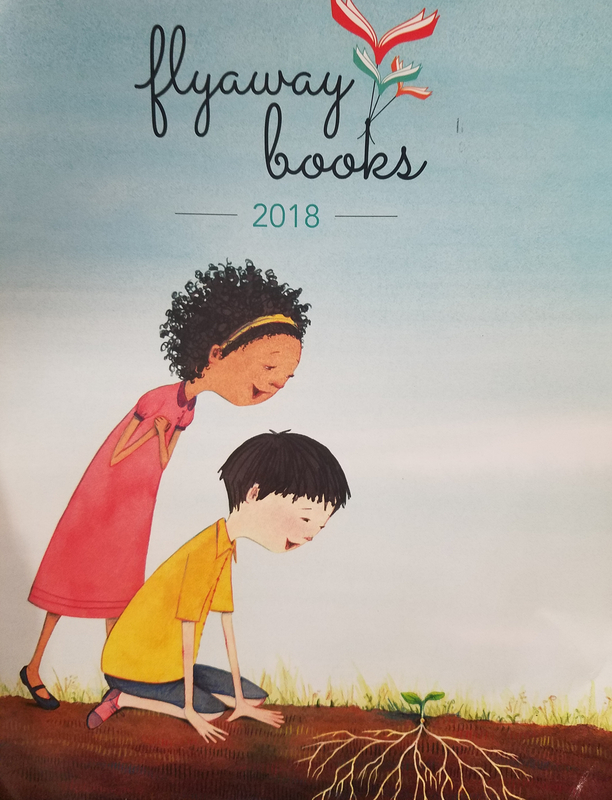 A catalog for a publisher I don’t know about like Flyaway Books is also always a great surprise. Edelweiss is good for streamlining so many things, but the discovery of new catalogs I don’t know to look for still works best in physical form. So what are things we don’t get as much value out of? 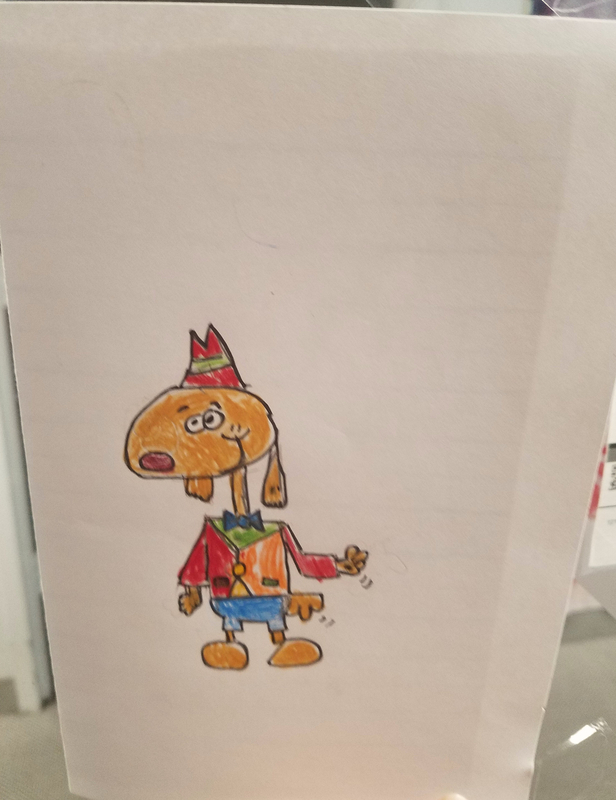 I really do appreciate the effort that goes into all of these mailings, but of course there are things that don’t work as well for our store as others. On a superficial level, simplicity of packaging is something I value as someone who slices open, unties, unwraps, and breaks down a lot of packages in a week. And in terms of content, we definitely don’t use absolutely everything we receive. Single tie-in items with ARCs like one branded lip balm, tiny flashlight, seed packet, locket, or tape measure can be whimsical and sweet, but I admit we can often struggle to find the right recipient or promotional vehicle for the item in question. Gift with purchase or buy one get one free promos are tough to coordinate in a store like ours (with the number of employees and cashiers who would need to remember those details for one series among many). And although we always appreciate pre-made signage, size can be a factor. 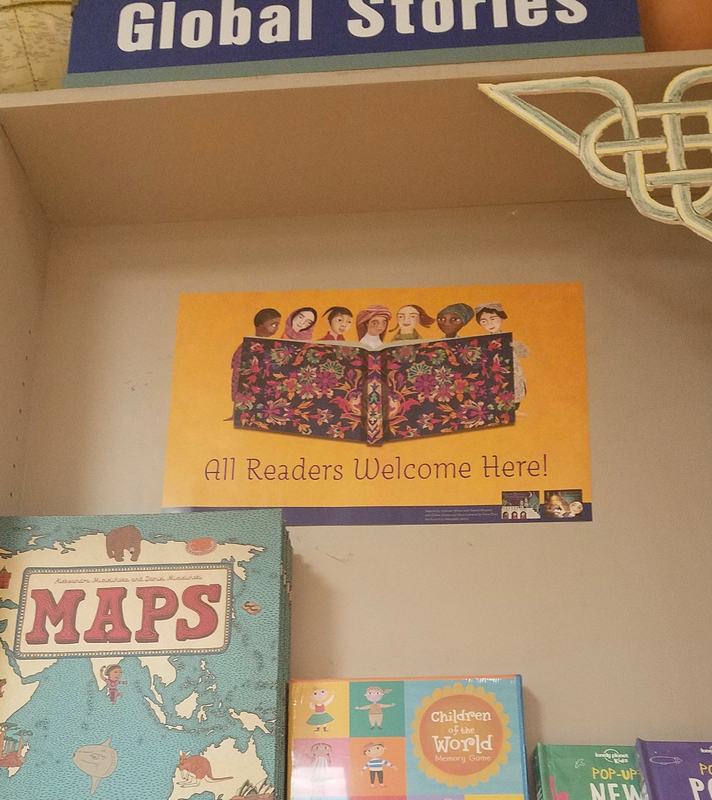 Large vinyl banners or oversized pre-publication promotional standees don’t have an obvious home in our store, so they don’t always go out. (Small character standees on the other hand are fantastic, and always used.) But if we can’t use something, we always try to give it to an educator. We’re so lucky to get all these cool things; we just want to spread the wealth. 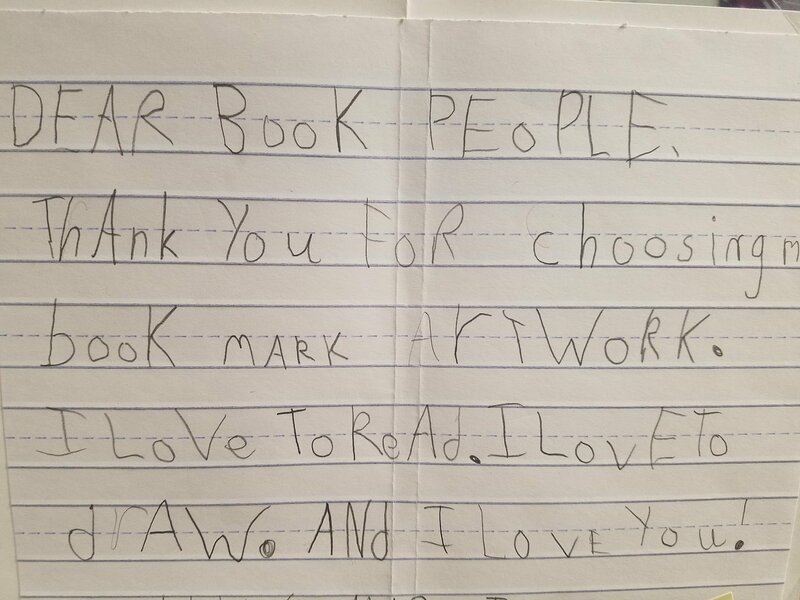 Of course while we really appreciate all these tools from publishers to help us celebrate their books, at the end of the day the best mail of all is the kind that simply makes us smile. This entry was posted in Uncategorized on May 4, 2018 by Meghan Dietsche Goel. this was great info – fun to hear how it all stacks up from your bookstore perspective. Thanks for sharing! I love getting nice prints, especially signed, to put up in the store and/or give to customers or schools. However, lately I’ve received several that didn’t get enjoyed by anyone (or do any promotional work for the publisher) because these beautiful frame-worthy prints were shoved into an envelope with no cardboard or other protection beyond maybe a bubble mailer and became hopelessly mangled en route to the bookstore. Such a shame! Producing high quality prints isn’t cheap; it makes sense to protect that investment by using adequate packaging to get them to their intended destination intact. Aside from all the handling by humans, a piece of mail will encounter conveyor belts, being dumped into big bins along with heavier pieces of mail, and obstacles of all sorts. I agree that headbands, masks, etc. that we can whip out at story time are wonderful!